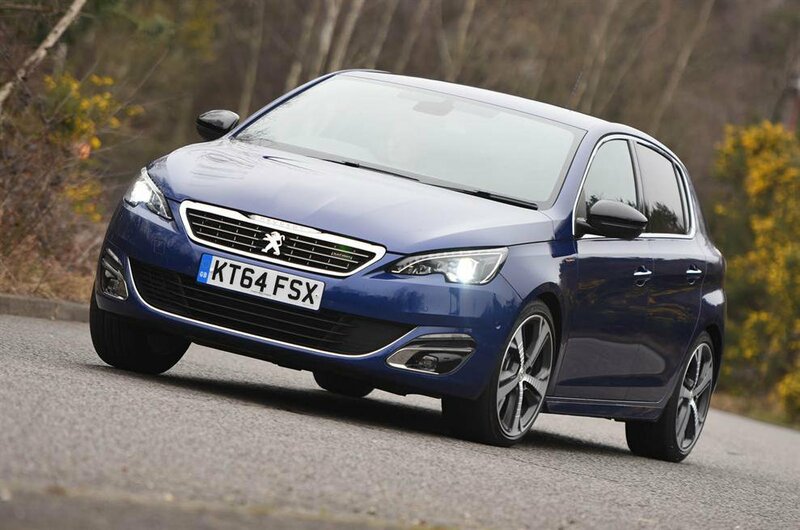 Deal of the Day: Peugeot 308 | What Car? We recently drove the new Peugeot 308 in sporty GT Line trim and our biggest gripe was its hefty asking price - read the full review here. Thanks to online brokers Autoebid.com, though, there is more than £4900 off the 308, making it a far more viable option. GT Line slots into the range above Allure trim and brings Alcantara leather upholstery with a massage function on the front seats and other styling tweaks to give it a stylish and sporty look. It comes with the standard Peugeot 1.2-litre 130 THP engine and it's our pick of the range because it’s refined, flexible and sweet-revving. The 18in alloys look good, but they impact the ride comfort, although the ride does settle down on the motorway. Automatic wipers and LED headlights, cruise control, sat-nav, rear-view camera and lots of multimedia functions come with GT Line trim. The car we tested had the Driver Sport Pack added on for £370, bringing a Sport mode that weights up the steering, lights up the dials red, sharpens throttle response and gives the engine note a bit of a growl. If you want the 308 to give a bit of a sportier drive then it would be worth adding this. Head to Autoebid.com then search for ‘Peugeot’ and ‘308’ from the menus to see the full range of deals available.